USA ELF is partnering with ELF around the world for a comeback project! We are planning to put ads on 70 branch stores of gs25 in Korea for one month*. We will also be collecting messages from ELF to include in a message book for Super Junior. * If we do not reach our target goal we will do 1,000 coffee cup holders and video ads at one coffee shop in Seoul for one week. Questions? Email us at usaelf05@gmail.com. We’re happy to announce our participation with E.L.F. worldwide to celebrate Super Junior’s 11th debut anniversary! 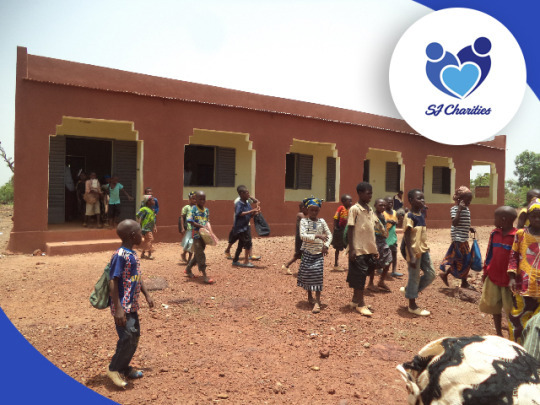 In a continued partnership with Build a School in Africa, SJ Charities is going to build a second school in honor of Super Junior in the community of Doumanaba, located about 50 km northwest of Silkasso, in the south of Mali. Let’s continue to show Super Junior our love and show the world the power of E.L.F. worldwide! USA ELF is partnering with ELF Indonesia and USA Elfish to celebrate Donghae’s birthday! 그대는 나의 하루 is a project to support and celebrate Donghae with birthday gifts including cookie boxes (for Donghae and his team), a video and a birthday cake. Click here to download the hand banner. USA ELF is partnering with ELF Indonesia, Ecuador, Brazil and Leeteuk Angels USA to celebrate Leeteuk’s 34th (in Korean age) birthday! Our Hearts to 천사특 is a project to support and celebrate Leeteuk’s birthday with gifts including lunch boxes (for Leeteuk and staff), a birthday cake and photo book. There are four donation levels to choose from. Every level includes free gifts! Messages must be in Korean or English with a maximum of 50 words. ELF must do a heart sign in their selfies to match the project theme. E.L.F worldwide are helping SJ Charities sponsor a child via World Vision until he reaches 18 years of age under the name SUPER JUNIOR KYUHYUN. The chosen child is Julius, a 5 year old boy from Uganda. His birthday is on May 27th, which is the same date as Kyuhyun’s debut. The total amount for this project is $6,000 for 12 years of sponsoring. For a closer look at Julius’s profile click here. Your donation, even just a small amount, will help change the life of a child and contribute to the success of the project. Follow SJ Charities on Twitter for all of the latest updates about Julius! USA ELF, in partnership with ELF Indonesia, is inviting everyone to contribute to a special photo book for Zhoumi’s birthday! The photo book will be delivered to Zhoumi in April. Click on the image above to download and print the hand banner and take a selfie to show your support. Once complete, send a high resolution image of your photo to USA ELF at usaelf05@gmail.com by March 15. USA ELF, in partnership with ELF Indonesia, is inviting everyone to contribute to a special photo book for Siwon’s birthday! The photo book will be delivered to Siwon in April. USA ELF is partnering with ELF Indonesia, ELF Brazil and USA Jewels to celebrate Eunhyuk’s 31st (in Korean age) birthday! Talking to 달님 is a project to support and celebrate Eunhyuk with birthday gifts including a mini photo book, birthday flowers, fan letters, a birthday cake and other special gifts. Gifts will be hand delivered to Chocolat BonBon in April. Three ways you can participate! For an $8 donation you can send a letter and selfie to Eunhyuk with our custom designed letter paper and hand banner. You will receive a free gift that will include a pin, key chain and fan as a thank you. For a $4 donation you can send a letter to Eunhyuk on our custom designed letter paper. You will receive a free gift that will include a pin, key chain and fan as a thank you. For a $2 donation you will receive a free gift that will include a pin and a key chain as a thank you. Thank you for supporting our handsome Anchovy!